As a group of dedicated contributors to PowerWood we have put in a lot of love, time and energy each year in organising the PowerWood Camp as we believe it is so important for our children, but also for us parents, to have the opportunity to feel and be part of an understanding, supportive and enjoyable community. It feels so rewarding to listen to the feedback those children, tweens and teens give about the camp:)! Listening to the young people…. I’m so proud to present this PowerWood Podcast that the children, tweens and teens made during PowerWood Camp by interviewing each other:)! 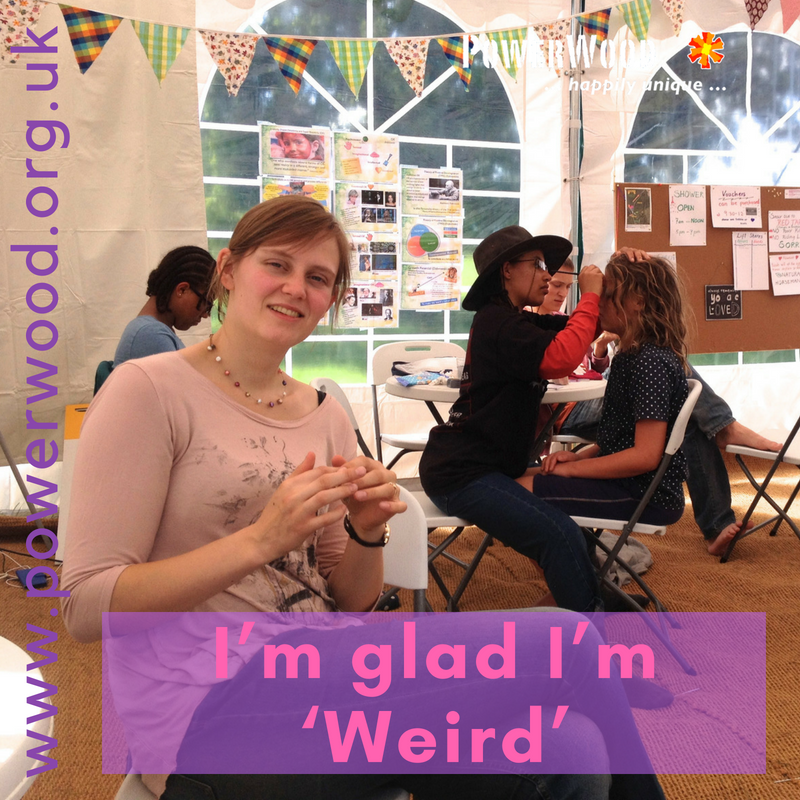 Thank you Lucinda Guy of SoundArt Radio for offering this inspiring workshop at PowerWood Camp, the children loved making it, and we loved the results! A huge THANK YOU to all young people involved for your incredible contribution to PowerWood! Also a huge THANK YOU to all the ‘WEIRD’ people involved in organising the event;)! (I’m so grateful to be considered one of these ‘WEIRD’ people:)!